4 How To Grab Products From Mi Rs.1 Diwali Flash Sale? 5 How To Play Fastest Finger First In Mi Diwali Sale? 6 How To Play Bid to Win In Mi Diwali Sale? Hi Friends, welcome back to avjtrickz. Xiaomi is popular in india for its budget smartphone in india and doing business from past Three years. Its Consistent & Successful 3rd Year For Them In India. 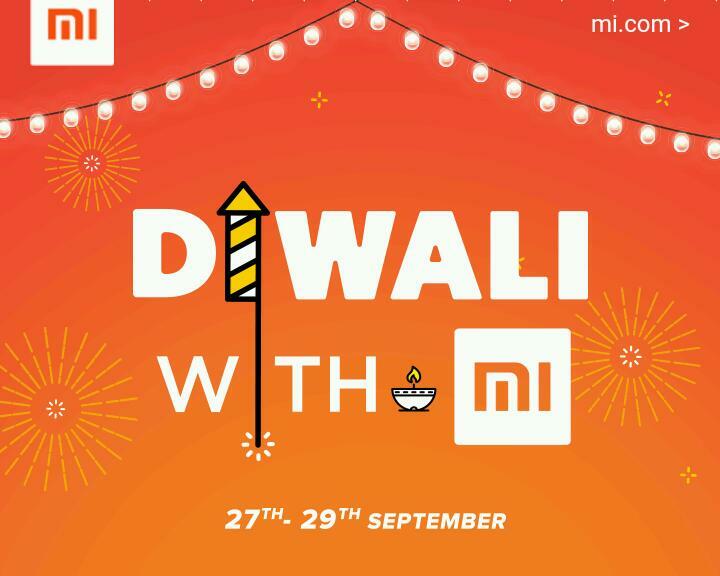 So, xiaomi Mi is celebrating The Diwali The Festival Of Light and selling its smartphones and accessories for just Rs. 1. But as all we know that despite having good internet connection many people can not buy anything in flash sales, so to increase your chances and luck we will give you a successful way which will work on web and will add your smartphone Of Just Rs.1 to your cart ! They Are Celebrating Their Success In India On Diwali With Selling The Redmi Phones & Mi Accessories In Just Rs.1 . There is also another contest like Bid to Win, Fastest Fingers etc. How To Grab Products From Mi Rs.1 Diwali Flash Sale? How To Play Fastest Finger First In Mi Diwali Sale? 2. Now Just Visit The Mi Fastest Fingers First Game Section On 4 PM every day from Sep 27th – 29th, 2017. 3. The host of each session Game will announce the prize first, followed by the question, You need to act quickly and type their correct answer in the answer box and submit it. 4. First correct answer on host’s chat session will be declared as the winner. 6. There will be 15 questions & 15 Prizes during each session amounting to a total of 45 Products over a period of three (3) days i.e. Sep 27th – 29th. How To Play Bid to Win In Mi Diwali Sale? 2. Now Just Visit The Mi Fastest Bid to Win Game Section On 2 PM & 6 PM every day from Sep 27th – 29th, 2017. 4. There will be 3 Products in each Session, so you can bid 3 times in each session for 3 different products. 5. Winners will declare As per Lowest and Unique bidding after the time interval.